Phoenix with its motto: 'True way to Weigh' is been the industry leader since 29 years. Phoenix has always been ahead in technological innovations thus coming up with a variety of products and offerings to bring more value to the customer. The Table top range of weighing scales are one of the best in class and are widely used across Grocery stores, Departmental shops, Sweet marts, Supermarkets etc. Phoenix brings you the all new Smart Series scales in the tabletop range. The Smart Series scale is smart in true sense with its new design and enhanced features! The NPW Series Tabletop scale is one of our popular products in the market. The NPW Scale comes with loaded features and optional accessories which makes your daily operations easier than ever. The simpler operation of the scale makes it faster and more consistent, which in turn leads to a higher level of efficiency and cost savings. Phoenix NPW Series scales come along with a bunch of accessories to choose from. This combination of the scale and accessories will make your life more easy and convenient. The Rear Rod type display, Wireless RF Display, Thermal Printer, Phoenix Bluetooth App etc. are some of the accessories. Phoenix brings an extensive range of highly advanced Price Computing Weighing Scales with the NPC-N Series. Finding a vast application in departmental stores, these are highly demanded in the market. Owing to its real-time billing and printing features, software compatibility and easy UI, the entire range of price computing sales offered by us has been a preferred choice of our revered clients. 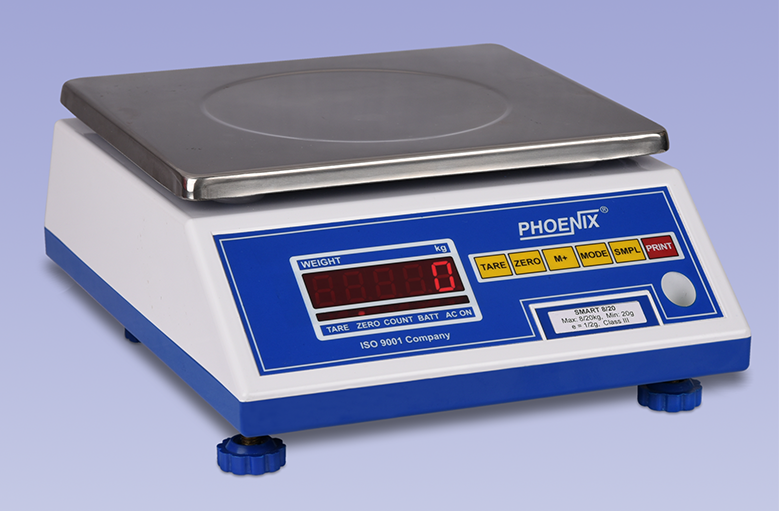 Phoenix Table top: NEW Series scales are the new age scales with robust build quality. They are used almost anywhere where there is a need of precision and accurate weighing. The Big platter design, L-shaped tray design and sturdy design due to additional ABS support tray constitute unique design that makes a great value proposition. Phoenix believes in keeping up with the technological innovations and is always upgrading their products and offerings to make the customers life easier. 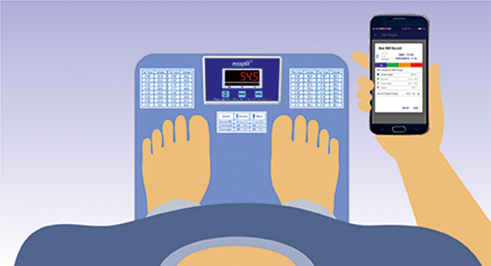 With the same thought in mind Phoenix also has three different Mobile Apps which can be connected and are compatible with various Phoenix Weighing Scales. These apps include Phoenix Batch scale App, Bluetooth App and 3-LED App which can be downloaded from the Play Store. Phoenix has launched Smart Video Door Phones under Home Automation products! The Phoenix TechnoBell-101 is a WiFi based video doorbell that is to be installed on your home's main door. This smart doorbell achieves a video call with the home owner on his/her mobile phone whenever any visitor presses the doorbell. The owner can see and talk to the visitor right from mobile phone and can also unlock his door for the visitor by a click on the mobile phone. Phoenix has launched the 'Phoenix 3-LED Scale' App. This app is most suitable for filling, packing and check-weighing applications. 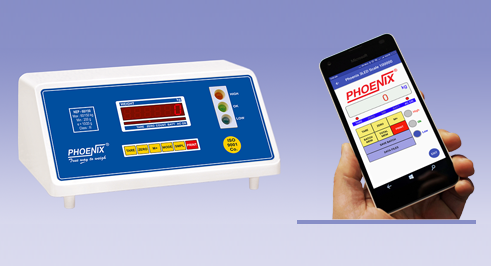 The Phoenix 3-LED app is compatible with Phoenix NPW, NEW and NEP series weighing scales with 3-LED and Bluetooth features. Using this app, user can see the comparison between current weight and preset weight via 3 LED indications in the App: RED - HIGH weight; GREEN - CORRECT weight; BLUE - LOW weight. These 3 big LEDs are also present on the indicator of the Phoenix weighing scale. 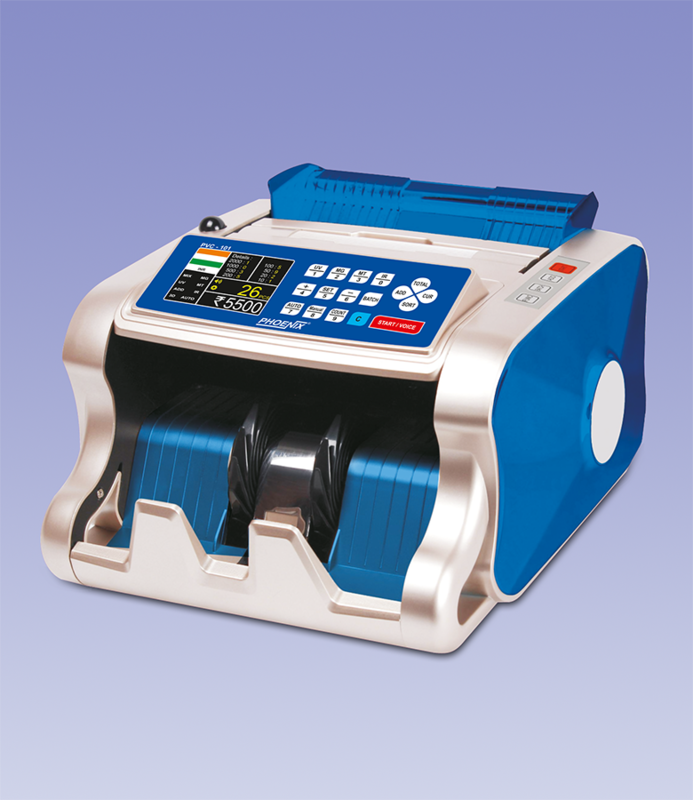 Phoenix has launched �Mix Note Value Counting machine� (PVC-101), specially developed and designed for Indian currency. This machine counts mixed currency notes with high speed (>1000 notes/min) and high accuracy. It shows number of notes, denomination-wise counted notes and also the total value. It automatically detects faulty/counterfeit notes using UV, MG, IR, 3D and Colour detection while counting. Introducing Person Scale With Bluetooth Technology And Mobile App! Phoenix is introducing the all new Person Scale with Bluetooth technology and Mobile app! This Person Scale (PAS-160 BT Scale) is available in 160kg Capacity and 100g accuracy. User can easily stand on the Platform of the scale. (Platform size is 315X300mm). It has Red LED Seven Segment Display. The Scale works on 2 AA Size cells (Pencil Cells) and AC Adaptor. Pencil Cells and Adaptor are provided with the Scale. The scale is made up of sturdy MS Body. We have redefined our SMART Series model and launched the all new SMART# series! The top cabinet and stickers are with a new and more attractive look. This model will now use our regular 6V 4AH battery. It is available with all present combinations of capacities and accuracies. All accessories like on machine display, rod type display, abs bowl etc. are available with the machine. We will also provide Bluetooth with Android App, Wireless RF Display and Batch Memory Accessories in this model.